In 2014 Lowewood Museum marked 100 years since the start of the First World War with an exhibition displaying objects and stories connected to the Borough of Broxbourne. 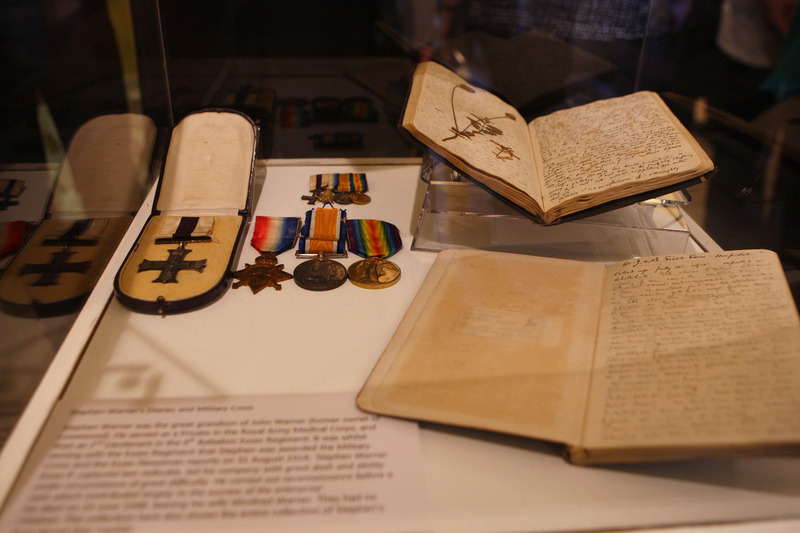 Exhibits included a collection of diaries written by Stephen Warner, the great grandson of John Warner of Hoddesdon. During the War, Stephen served initially as a Private in the Royal Army Medical Corps, but after a time there he felt that he could not let others bear the brunt of the battle and so became 2nd Lieutenant in the 9th Battalion Essex Regiment where he was served with distinction and was awarded the Military Cross. After the war, he wrote and illustrated a number of books, many of which are now in the Bodleian Library, Oxford. He died on 24 June 1948, leaving his wife Winifred Warner. They had no children. The diaries which are part of the Museum’s collection provide an insight into an individual’s experience of the First World War. For the first time these diaries will be shared online. Follow the blog page and Lowewood Museum’s Twitter page to read extracts from the diaries and follow Stephen Warner’s journey through the First World War. < Previous Welcome to our blog page! Surely if John Warner is the great-grandson of Stephen Warner then Stephen and Winifred must have had at least one child. Thank you for your message. The diaries were written by Stephen Warner – the great grandson of John Warner. Winifred was married to Stephen Warner, they had no children.